Durabrite Lights	There are 3 products. 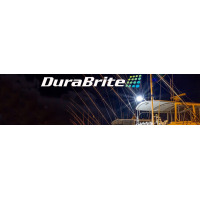 The DuraBrite Pro Series Marine LED Floodlight pushes the lumens-to-weight ratio boundaries to the extreme. 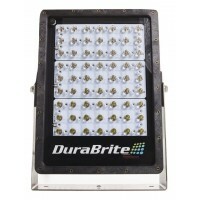 Its sleek, rugged, and powerful design offers 50,000 lumens, at the low current draw that DuraBrite is known for (80% less energy than other floodlights, 400W for DC Power, 440 for AC)! IP68 Waterproof certification. Aerospace & military grade material. 5 Year Factory Warranty. Made in the USA. 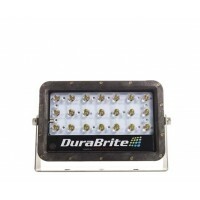 Also great for land-based applications.